It’s that time of year again, where we look back on the past 12 months and think of what we have accomplished and set goals for the upcoming year. Big or small, it can be hard to keep the resolutions we make for the New Year. Below are a few tips and resources we’ve complied to help bring in the new year with realistic goals and tools to accomplish them. It can be easy to set goals like eating healthier or spending less on shoes, but unless there’s a good reason for these goals, it’s not always easy to keep them. Making sure they are things you actually want, not just things that might be nice, can help! Setting specific reasons for goals that you actually want will help keep you motivated. MindTools.com has a great article on what kinds of goals you should set for yourself. Setting your hopes high and keeping your goals lofty is commendable, but if those goals aren’t realistic, you may be setting yourself up for failure. Setting short term goals can help you to accomplish the larger ones over time. Also, make sure you take the time to reevaluate your progress along the way. For instance, if your goal was to save a specific dollar amount in 6 months, but you’re only ¼ of the way there at 4 months, it might be time to reevaluate. This might mean making even more aggressive changes to your habits to be able to save more. The key is to set reasonable expectations so you keep going as you hit small milestones. People make jokes about how there is an app for everything, but it’s true! There are plenty of apps that can help you achieve your goals. MyFitnessPal is a popular one where you can track everything from your calorie intake to how much exercise you get. You can even scan a food label barcodes to upload nutritional information. Other non-health specific goal apps that can help you stay on track include GoalsOnTrack and LifeTick. A great way to help you achieve your goals is sharing them with others. This does not mean you have to be the guy at the office who announces every time he resists a cookie, but letting close friends and/or family in on your plans can help motivate you. Choose people who are positive and encouraging, or better yet, choose those with similar goals. 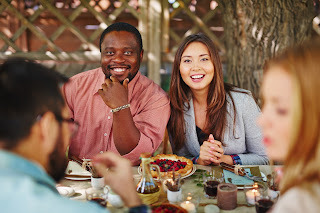 The article Why the BuddySystem Works sheds light on how helpful it can be to have someone else holding you accountable in your goal achieving journey. No matter how big or small the accomplishment, it’s important to give yourself credit for all the hard work that went into getting it done. By recognizing that you’re one step closer to achieving an ultimate goal, you can find the confidence to achieve even greater things. Whether or not you’ve set specific goals for 2016, we at Community Financial want to wish you and your loved ones a successful and prosperous New Year! 'Tis the season of giving, family time and holiday parties. Even the Grinch-iest of people can admit that there’s at least one thing about this time of year that they like, and for many it’s the food! With all the traditional treats Grandma makes and the festive workplace potlucks, one might call this the most delicious time of year. Unfortunately, overindulgence is often a regrettable outcome of celebratory eating, which becomes evident when suddenly the pants or dress we wanted to wear to the New Year’s Eve Party does not fit anymore. 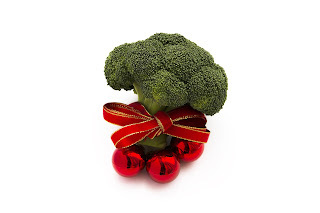 Never fear, we’ve complied a few tips to help you keep healthy during the holidays! It’s a simple concept in theory, but portion control is a practice that many people have trouble with. WebMD published an article with 10 Ways to Avoid Holiday Weight Gain that can give you portion control tips on how to keep those pounds off, without having to avoid the parties all together. It may seem overwhelming, and take a great degree of control at first, but beginning the practice of portioning your food will eventually become a habit that you don’t have to pay much attention to! Instead of feeling like you’re banned from the buffet, you’ll have the freedom to partake in moderation. 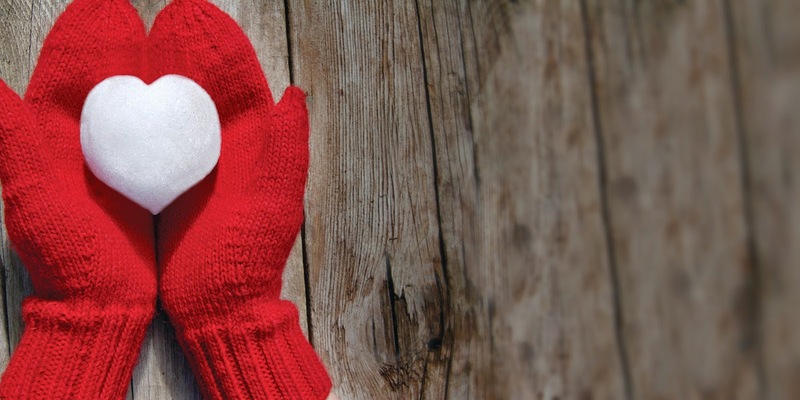 We all know that exercise is good for us, but it can be hard to make time during the holidays. Whether you already have a routine, or barely find time to walk to the coffee maker from your desk, the holiday season can take its toll on our health. Set aside time to do some activity to get your heart pumping and keep your muscles healthy. Keep in mind your holiday schedule and set realistic goals for yourself. If you’ve never had the time or energy to go for an hour jog every morning before, it’s not likely that you’ll be able to start it during one of the busiest times of the year! You can increase physical activity and jump start your metabolism by doing simple things like getting up from your desk a few times a day for a walk around the office. Create a few extra steps for yourself by parking your car farther away, using the stairs instead of the elevator or escalator, or take an extra lap around the mall with all your bags in hand. Still need some exercise inspiration? Read 8 Ways to Stay Active All Day. Beverages are the most overlooked source of extra calories. Besides the increase in frequency, holiday beverages are often more packed with sugar than any other time of year. Think eggnog, flavored specialty coffees, hot chocolate, etc. Regardless of whether they have alcohol content or not, the drinks you’ll find this time of year are one of the smoothest ways to gulp down some unhealthy stuff! Taking your time to sip and savor your beverages is a great way to keep it under control, and portioning is always helpful. Gain some knowledge about what holiday drinks may or may not be worth to you in this article on Unhealthy and Healthy Holiday Drinks. Another idea is to bring ingredients to make specialty drinks of your own to parties, so that way you know exactly what’s in your cup! You can find great recipes online, like those here at Health.com. Being conscious of diet and exercise year round is the best way to keep healthy, so as you wrap up your holidays start thinking of healthy habits you’d like to carry into 2016! 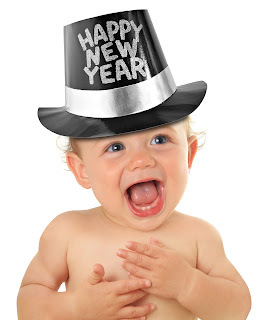 Stay tuned for our upcoming blog on tips for keeping your New Year’s resolutions! 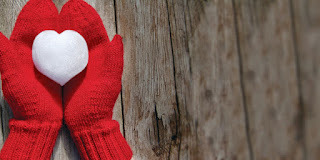 Whatever your plans, Community Financial wants to wish you and your families a healthy and happy holiday season. *Community Financial does not endorse the information, content, presentation or accuracy, nor make any warranty, expressed or implied, regarding the websites and/or tips mentioned above. None of the content on this website should be considered medical or psychological advice, and should be discussed with your health professional. It seems no matter how hard some wish, winter comes to Michigan every year. The cold weather and treacherous conditions that visit our beloved state might be great for winter sports, but they can wreak havoc on your vehicle. Even rough and tough SUVs are susceptible to damage, but there are precautions you can take to help stop the problems before they occur. It may seem like a no-brainer that you need good visibility when driving, but in winter weather conditions it can be even more important for have a clear view of your surroundings. Making sure you have new wiper blades and plenty of washer fluid are probably the least expensive and most overlooked things that can help you have a safer car this season. You can find more tips on keeping sight of the road at TopDriver.com and find wiper blade ratings on ConsumerReports.com. Where the rubber meets the ice. Slippery conditions are unavoidable unless you stay at home. This isn’t really an option for most people, so it’s important to make sure your car is for top shape to handle the roads. Checking the tread on your tires is very important in safe winter driving. You might be surprised at the difference in stopping distance that winter tires can make! 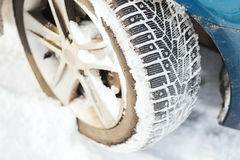 Consumer Reports has a good article on how winter tires can help keep you safe: Comparing Stopping Distances in Snow. If you’re not sure you want to make the investment in a completely separate set of tires, ask your mechanic or a knowledgeable friend to take a look at your tires for their expert opinion. As we all know, starting your car is a vital part of driving, so it’s important to make sure your battery is in good shape. Understanding how batteries work can help you to better diagnose when your battery is going bad. You can learn about how they work in this article on FirestoneCompleteAutoCare.com. Many people don’t even think about checking their battery unless there’s a problem (ie, their car doesn’t start), so it might be helpful to set a calendar reminder to check it (or have it checked) before the colder temperatures hit. When in doubt, take it in to have it looked at by a professional. It’s easy to continue on with your day-to-day driving and trust that your regular oil changes and vehicle inspections will keep your car running smoothly, but it’s important to remember that we live in a climate that would affect any machine’s ability to function. Doing research online and asking your mechanic about precautions you can take this winter will help keep you safe and save you money. No matter how cold it gets though, just remember… spring is always just a few months away!